Who doesn't love a good chunky sweater? At the moment the weather is all over the place but I am taking every chance to get out the jumpers and more recently cardigans. Not the ones you throw on top of a t-shirt the big wooly ones. I love the look of these long and fluffly cardigans as a chance to layer up and great to keep warm. Then we have a trend that I have a lot about but never seem to know how to wear it. I read somewhere once that its like Bohemian but more simple with bold colours that pop. One piece that I love from the Trilogy Stores range is this Jumpsuit from the Alexa Chung for AG Jeans, How beautiful is it? Its a classic denim colour yet the long sleeves makes it look different and very chic. I would also add a over-sized scarf to complete the look and a cute little hat. 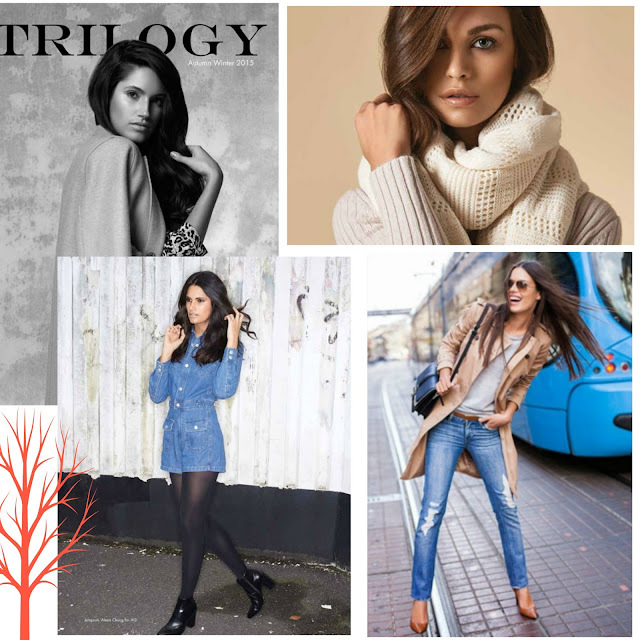 If you ever find your self in a fashion rut and need some inspiration take a look at Trilogy Store Lookbook, including how to wear the very tough material that is suede.